It's not necessary to print these tickets. You can scan them right off your screen. 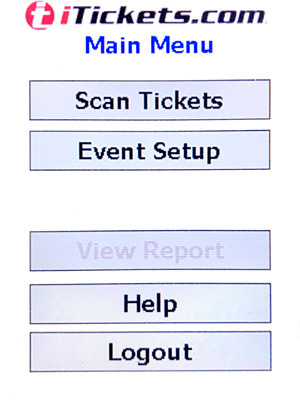 To delete all scans so far, go to Menu > Event Setup, and re-enter the same Event ID. It will say, "Event is already in use. Do you want to continue using it?" Press No to delete all scans and start over. Note: to exit program without deleting scans, use Menu > Logout instead.